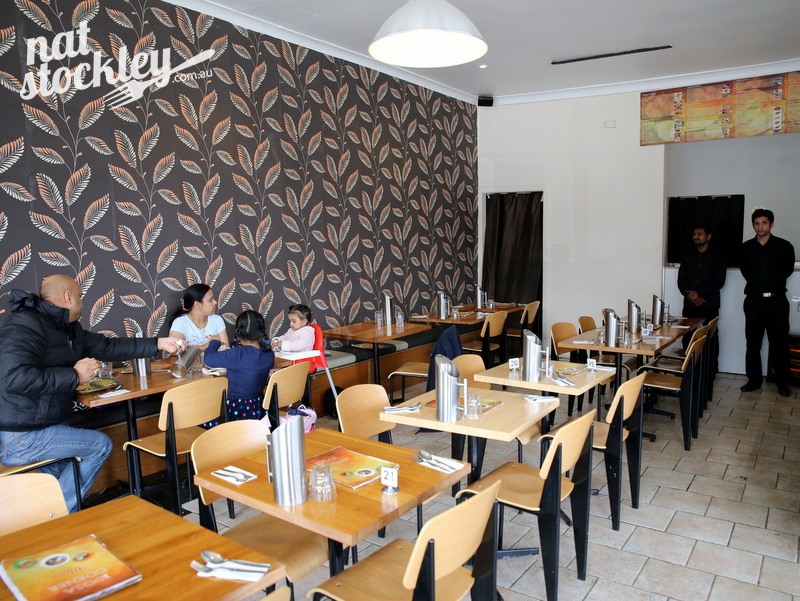 If your love for Indian cuisine extends beyond butter chicken & lamb roghan josh, then you really ought to take a drive out to West Footscray and explore the plethora of Indian eateries along the stretch of Barkly Street over Princes Highway. 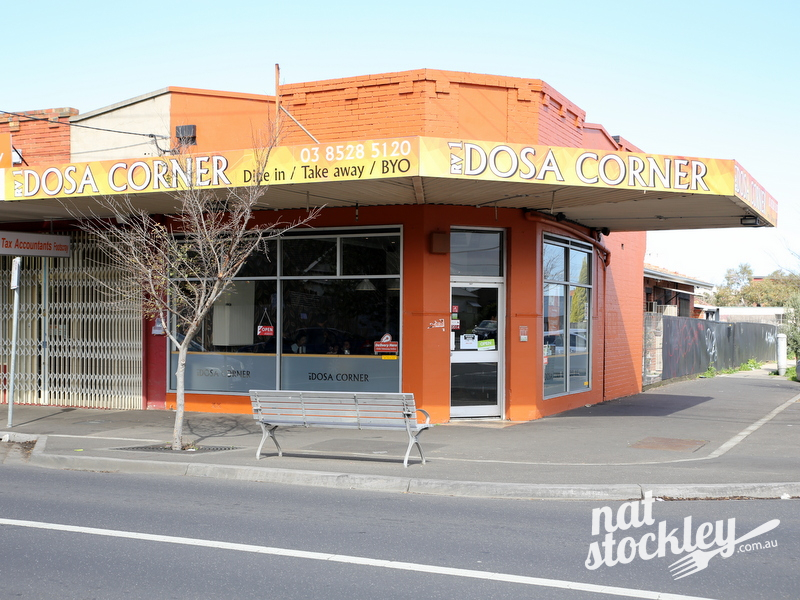 A relatively new addition to the area is Dosa Corner, opening for business in March 2015. 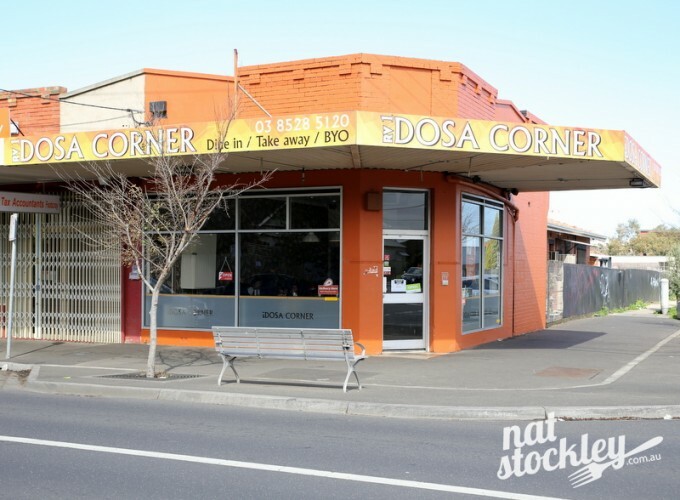 One of the owners of Dosa Corner had previously been a chef across the street at the long established Dosa Hut. Clearly there’s a demand for South Indian & Indo-Chinese options as Dosa Hut have just opened a third location in Roxburgh Park. 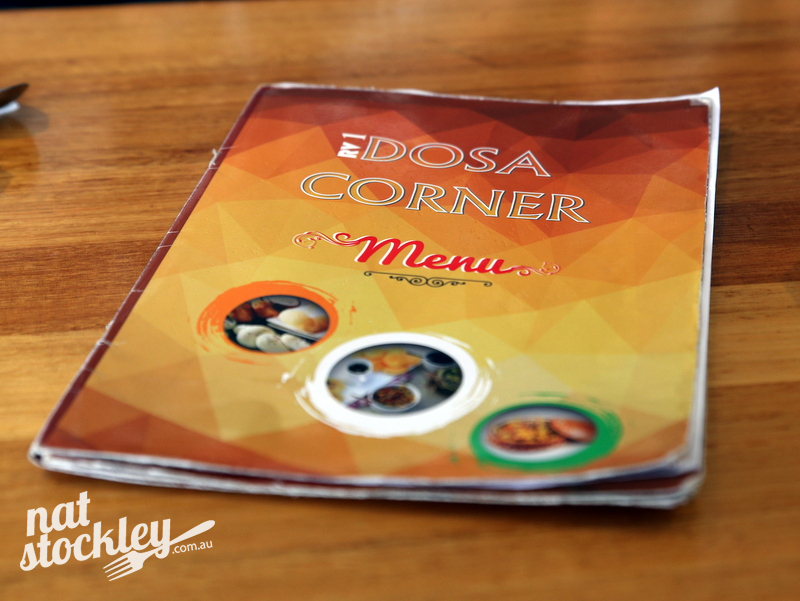 Dosa Corner’s menu is extensive with virtually every item priced below the ten dollar mark. There’s South Indian favourites (dosa, idli, vada & uthappam) , biryani and an enormous variety of Indo-Chinese specialties including the legendary chicken 65 and gobi (cauliflower) Manchurian. Even chaat dishes (Indian street food) are represented with the likes of samosa chat and pani poori, fried crisp hollow dough balls that are filled with chickpeas, potato, chutneys & aromatic water. Curiously, pani poori also feature on the menu at a hatted Melbourne Indian restaurant where they’re priced at $4.50 each. Here you’ll get a serve of 6 pieces for $4.95. It would be improper to visit a restaurant called the Dosa Corner and not order their namesake. 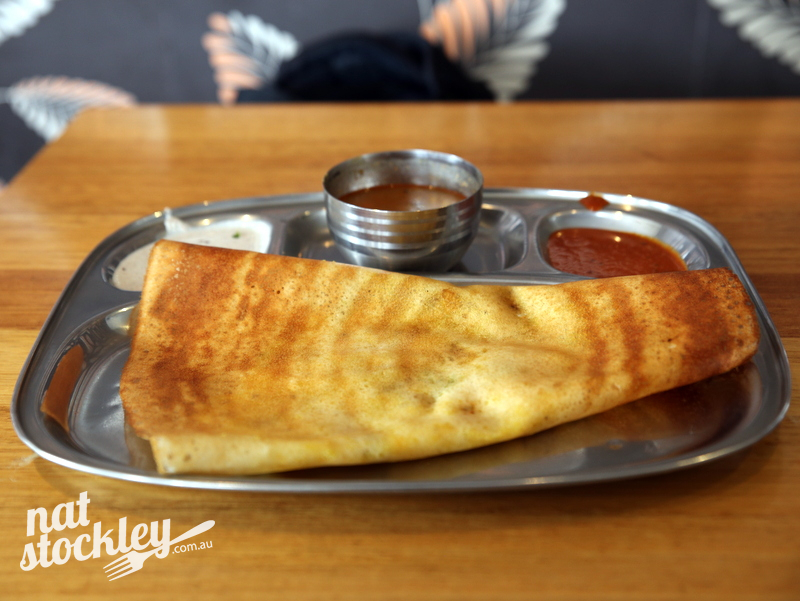 I choose my regular option, the masala dosa and enjoy every element. The dosa itself is crispy, the spiced potato filling flavoursome and the accompanying sambar and chutneys are all most pleasing. Plain dosas are priced at $1. My chosen masala stuffing adds $3.99 to the deal, but $4.99 all up is still a bargain in my books. 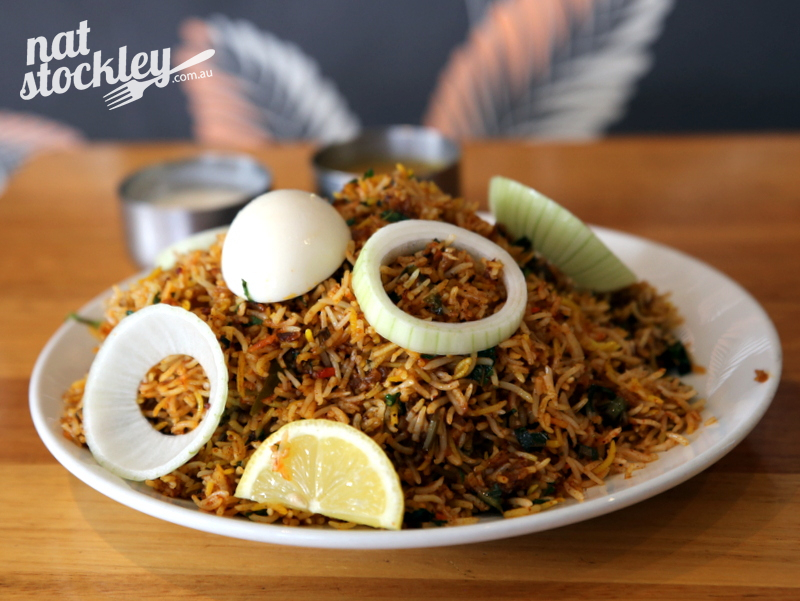 You could say I have a special place in my heart for biryani and consider it the ultimate comfort food. On the day I visit, there’s a quail biryani being offered as a special. It’s pleasant enough, but I’m not convinced a highly spiced biryani really does justice to the delicate quail & extracting the small amount of meat from the bones is awkward at best. Next time I’ll be sticking to the customary & proven goat or chicken options. I roll out of Dosa Corner completely stuffed and with change from $20 in my pocket. No doubt had I visited with some dining accomplices and shared a few plates the cost per head would have been even less. Either way, you’d be hard pressed to find another cheap eats venue anywhere in Melbourne offering such outstanding value.